We know: it can be impossible to find printing prices online. Every project is so unique that it is always best to request a printing estimate from your printing service partner to get a more precise cost. In the meantime, here is a pricing guideline that you should find helpful in getting you started. 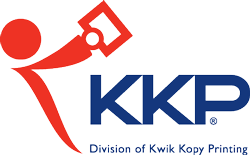 Specializing in short run full color letterhead and envelopes, Kwik Kopy Halifax is proud to be your printing services partner. Please inquire for options and costs. Offer various choices and finishes.